Sony shares plunged Thursday after the electronics giant warned of a $2.14 billion annual loss linked to its struggling mobile phone unit, taking investors by surprise and dealing another blow to its turnaround plan. The stock dropped as much as 12 percent before closing at 1,940.0 yen, down 8.64 percent, after a frenzied session in response to the shock announcement late Wednesday. It also said it would not pay a dividend for the first time since listing in Tokyo more than five decades ago. Sony blamed its ballooning losses on a writedown for its mobile phone business, where it said it would cut staff by 15 percent, or about 1,000 jobs, and focus more on top-end models including its flagship Xperia smartphone. 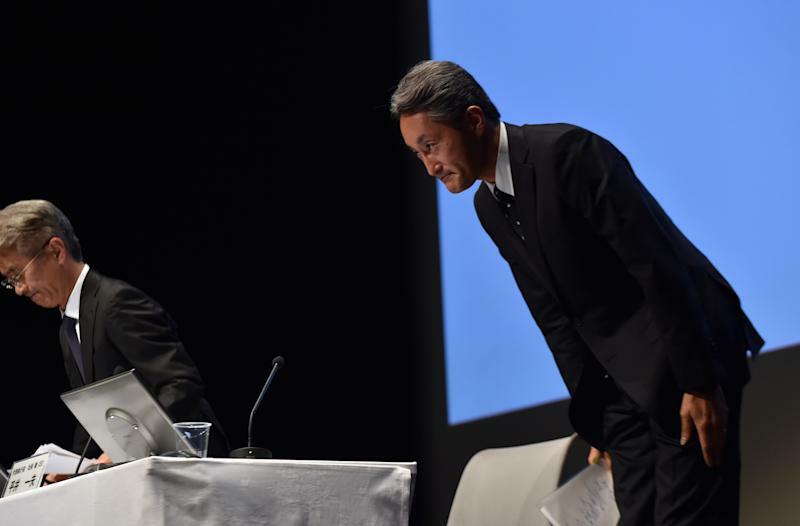 The announcement stood in stark contrast to previous comments from boss Kazuo Hirai who had said the mobile division was crucial to a corporate overhaul aimed at reversing years of losses. The firm has been forced to cut its smartphone sales forecasts as it struggles to fend off rivals including Samsung and Apple, which is releasing its newest iPhone in several key markets, including Japan, this week. "Management's resolve to make difficult decisions will be tested if performance in the mobile business does not improve," Fitch ratings agency said in a report Thursday, adding that a "more aggressive reform to revamp Sony's product and business portfolio is overdue". 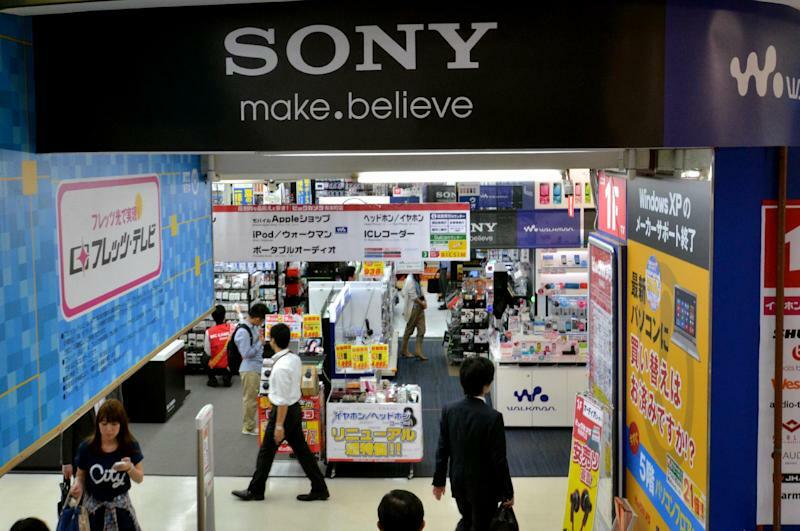 Sony, which has seen its credit rating slashed to junk, has issued a string of downward earnings revisions over the past two years as Hirai embarked on a restructuring of the once world leading consumer electronics firm. The turnaround plan has included thousands of layoffs, exiting the personal computer business, and liquidating assets that saw the $1.0 billion sale of Sony's Manhattan headquarters. News that Sony was heading for a 230 billion yen ($2.14 billion) net loss in the fiscal year to March 2015 comes only months after it tipped a shortfall of just 50 billion yen, citing a turnaround in its television unit which has lost money for a decade. 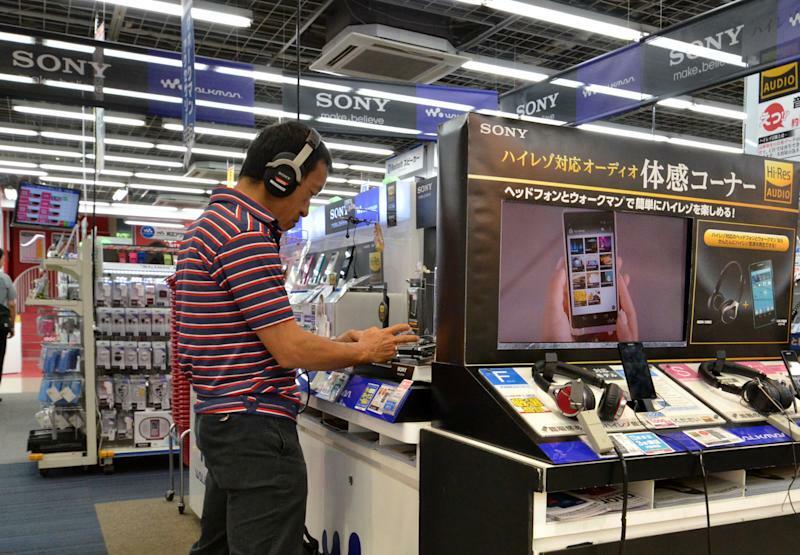 Hirai -- who has pointed to Sony's PlayStation games console and a strong music and movies division as bright spots -- on Wednesday acknowledged the unexpected weakness in smartphone sales. "Other firms are also offering new products with innovative technology -- this business experiences dramatic changes in products and services," he told reporters in Tokyo. "The environment is changing and becoming more severe." Hirai, who took over in 2012, said Sony would continue to focus on the more profitable areas of its vast business, which ranges from televisions and portable music to movies and insurance. But he has repeatedly shrugged off pleas to abandon TVs altogether, which he insists remains central to Sony's core business, even as razor-thin margins and fierce overseas competition hammers Japanese brands. Hirokazu Kabeya, senior strategist at Daiwa Securities in Tokyo, said Sony cannot afford to get into a price war with lower-cost rivals, including Chinese smartphone makers, or beat Samsung and Apple in global market share. "(Sony) would be wise to shift its resources to where it is strong -- such as movies and music," he said. In the wake of Thursday's share price drop, investors may see Hirai's ongoing efforts to slim down the company as a positive despite the loss forecast, Kabeya said. "But it's unlikely we'll see a rapid turnaround and Sony will likely struggle for a while," he added.